Celebrate an accomplishment with these bright balloons! 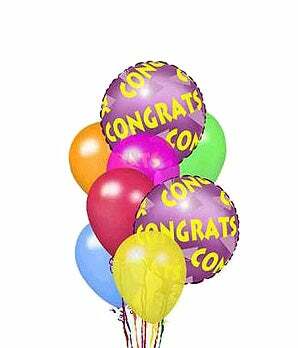 The Congratulation Balloon Bouquet is a fun arrangement of two congratulations mylar balloons paired with six colorful latex balloons. A great gift to send for a graduation, new job or new baby.